M.O.M. Productions, in conjunction with Pinnacle Tattoo (Pittsburgh) is presenting the 13th Annual Meeting of the Marked Tattoo Arts Expo in Pittsburgh, Pennsylvania, October 28-30, 2005 at the Radisson Hotel Greentree. 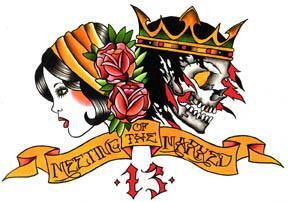 Apart from adding zing to the tattoo contests, do not forget to attend the Ron “Big Daddy” Meyers – Realism in Tattooing Seminar.